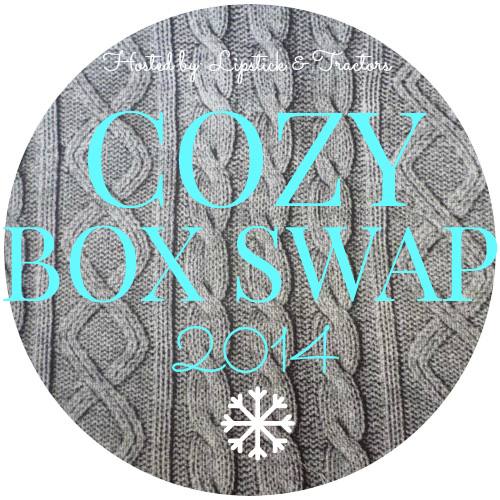 Cozy Box Swap 2014 Reveal. 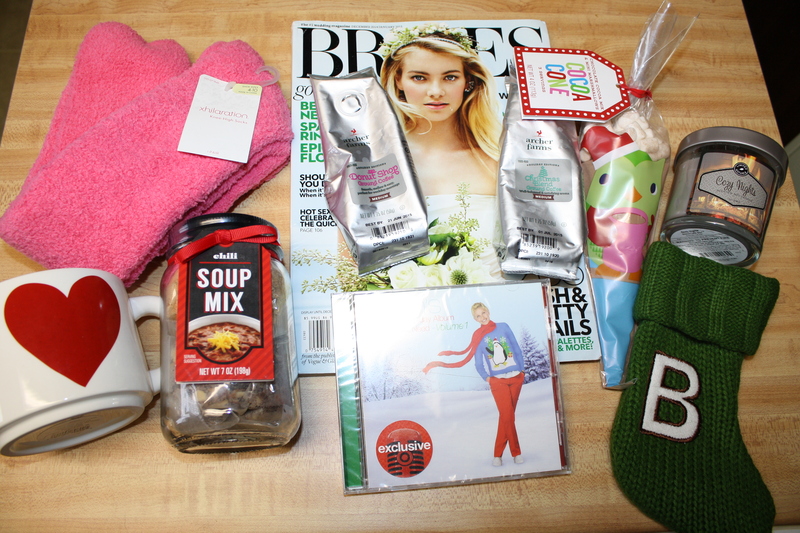 This year I came up with and hosted the first annual Cozy Box Swap. Although it was pretty successful I already new ideas for next year and learn what does and doesn’t work. I am also hoping for more participants next year, around 30 signed-up this year! Since there was an odd number of participants I took two partners. The first was Sara from Faith, Farming, & Cowboy Boots. We had already gotten to know each other over the past year from blogging and have a lot in common, so it was neat to be able to swap with her. Sorry the lighting is so off in this picture, it was fine on my camera..not so much on my computer. I love the items she picked out. Especially the socks…so cozy! We had Thanksgiving on Saturday and I wore them after I took my boots off and everyone loved them and wanted to know where they were from. So I’ll have to ask Sara and buy some for Christmas gifts! My second partner was Sydney from Clot Girl. We met because of this swap and I had a great time getting to know her, it seems like we have a lot in common. I’m not going to lie I was so excited about the package I started using things right away without taking a picture…whoops! I believe this is everything. The candy canes are being used as decoration so I didn’t want to take them down. I am really excited to try the chili which is my favorite cozy winter (well anytime of the year) soup! 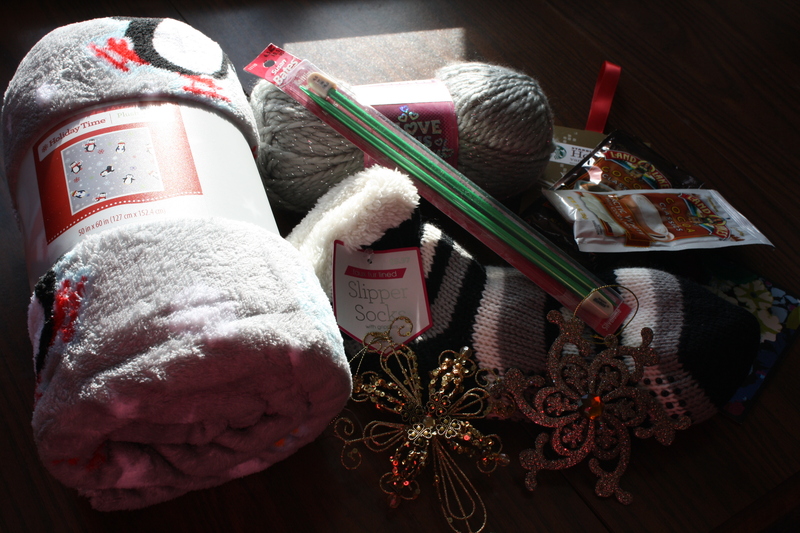 She picked out some great items! I haven’t had a chance to listen to the Ellen CD but it has to be hilarious. Hopefully they will get their reveals up on their blogs so you will be able to see what I got them!